Extra Staples is a series of posts where I share various links I find interesting. It is not on any regular schedule, and the links can be old or new. For more frequent updates from me, I can be found on Instagram and Twitter, under the same moniker, Threestaples. Another informative post from Andrew on one of the prettiest edition of Field Notes ever made. Polka-dotted inner covers! Shopping for vintage fountain pens seems so daunting but boy do the Murex look mighty tempting, and Matthew’s gorgeous shots don’t help either. Hat tip to Sola for the links! 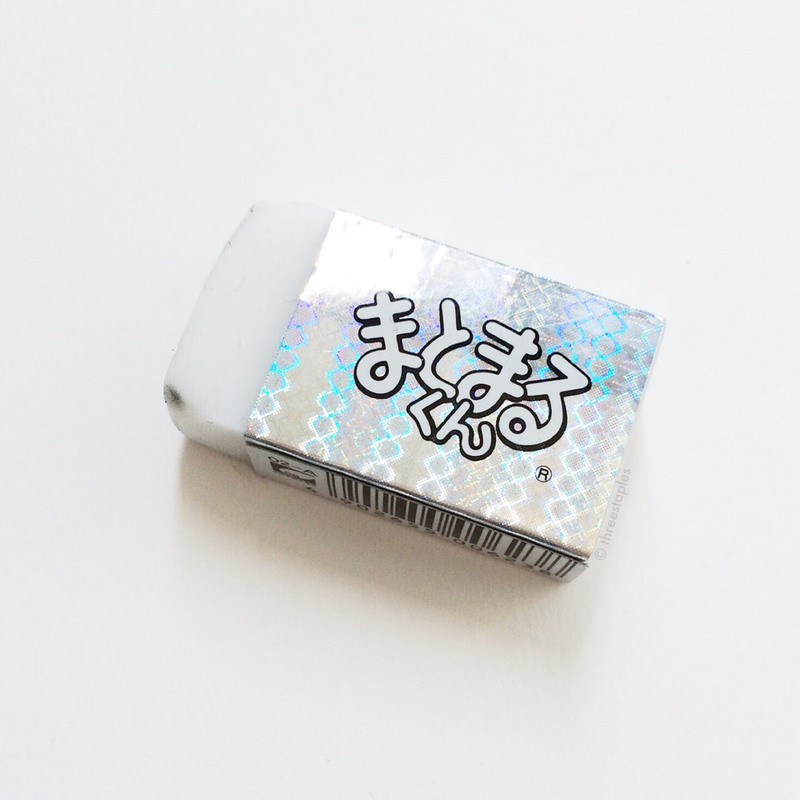 This eraser really does clump the eraser shavings neatly together, as its name promises (matomaru means to gather), and it feels very soft and spring-y, just the way I like my erasers to feel. It erases very well. Surprisingly still available! I’ve fallen in love with the turquoise lines on this edition’s body paper, and I’m really enjoying pairing that color with Pilot Hi-Tec-C’s Usuzumi.